This report is based on the findings of a November 2015-January 2016 survey exploring the views of 111 patient groups with an interest in hepatitis worldwide. The report provides feedback on the corporate reputation of the pharma industry during 2015, from the perspective of these patient groups, as well as the performance of 14 pharma companies for six key indicators that influence corporate reputation. Results are compared with those attained across all therapy areas in 2015. The profiled company’s performance at the six indicators of corporate reputation in 2015, according to the skin patient groups familiar with the company. The profiled company’s rankings among skin patient groups in 2015 for the six indicators of corporate reputation, compared with 13 other companies. 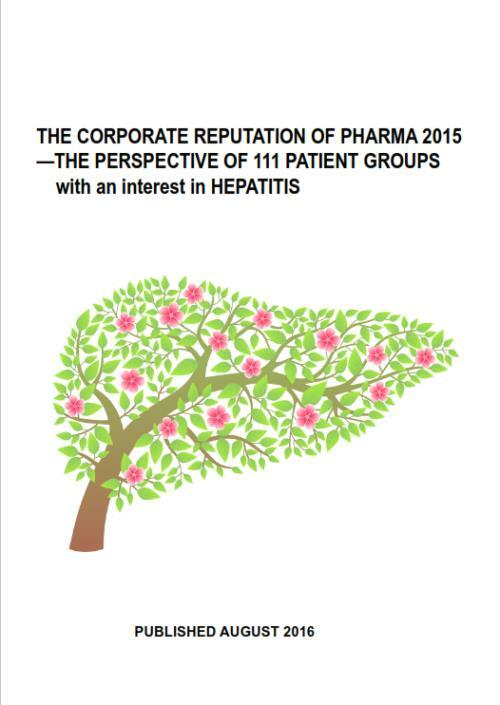 WHAT DID HEPATITIS PATIENT GROUPS SAY ABOUT PHARMA IN 2015? If a pharma company wishes to improve its corporate reputation with patients and patient groups, which single strategy from the list below do you think would be MOST IMPORTANT for the company to follow?